Official The docs are back + info on docs 2.0, skUnity.com and NodeBB forums! I'm very happy to announce that the official skUnity documentation is back online! Wrong has managed to get the server back online and is now working. The forums will be staying with me for now as it'll save the hassle of moving them again and potentially causing issues. Wrong has been working hard on getting the next version of skUnity docs out and they'll be here soon. I'm going to be helping out with some stuff to get them up and running quicker plus adding features which he is unable to do for whatever reason. skunity.com -> a portal page which has links to forums and docs - a front page of skUnity (likely to have news and some stuff too). forums.skunity.com -> this will take you to here, the forums. docs.skunity.com -> once docs 2.0 launches, they'll be accessiable via docs.skunity.com This allows us to greater control of the domain as each section is sub-domained. Now that the NodeBB forums are backup, we'll be moving back! Joking! Anyway! They'll be backup soon and (hopefully) accessible via node.skunity.com. The time that they'll be up is currently uncertain. It's likely it will about a week to a fortnight at best. This is because they're slightly unstable and waste resources on the skUnity server for other secret projects we have coming up . But don't worry! We'll be giving plenty of notice when they're going up, down and might even get a data export out for people to use. Thanks to everyone who's being bearing with us through this troubling time. I know it's not easy to see your data just disappear and then be told to make it again. Welcome itismejoey to the Administration Team! You've probably noticed now, but please welcome @itismejoey to the admin team! He's kindly donated the use of his xenForo license, multiple addons and a lot of his time to make these new fancy skUnity Forums, so I've decided it'd be best for him to have even more room to input, by giving him admin rank. I'll still be managing the site and working with Wrong and the community, but Joey will be doing a lot of changes by himself now and also managing parts for me. 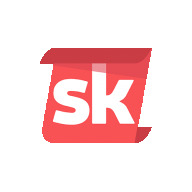 Official Welcome to the new skUnity Forums! skUnity Forums - a fresh start and new beginning. Welcome to the new skUnity Forums. The forums now run xenForo, kindly provided by @itismejoey. After a lot of discussion, between me, wrong, joey and many community members, we've come to agreement that the forums need a fresh start. Discourse was amazing, but unfortunately backend faults led to it constantly crashing. NodeBB has for some reason, suffered the same fate and killed the server; hence the long down time. We've thought hard about this and it comes with difficulty to do. Delete a year and a half of history or suffer the consequences of forum downtime? In the end, we picked the new beginning. We were all against this path, especially @Wrong, who was completely against the fresh start. This fresh start means the forums will work. There shouldn't be anymore downtime as me and @Sam are now hosting the forums while the skUnity server is fixed as part of skUnities and SkriptRepo's partnership. As part of the transition to xenForo, we have tried to move some of the original thread using a cache viewer of the old skUnity Forums. We have also set the owners of some posts to those who originally posted on skUnity Forums. Some content will obviously be missing and won't be moved back over, however, we hope that everyone here is able to pump the posts back in. To answer any questions, I've created a list of basic FAQ below. If you have any questions please just reply or PM me them. I'll be more than happy to reply.